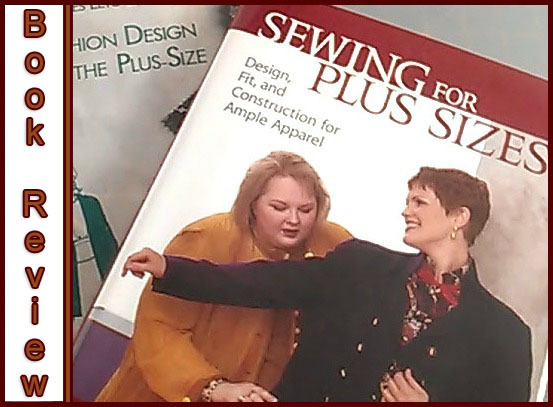 There aren’t many books dedicated to fashion design & sewing for plus sizes. The 2 books I have are from the 1990’s, and while fashion styles have changed dramatically since then, the principles of patternmaking, pattern alteration, draping and sewing have not. This is the reason I’ve had these books for so many years and why I still use them today. And I must admit, I love my sewing and patternmaking books and I don’t part with them easily. But these are great reference books. So, if you want a book dedicated to pattern draping and drafting, Fashion Design for Plus Sizes, by Frances Leto Zangrillo, does just that. 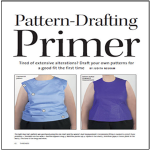 This book is for people who want to make their own patterns and/or grade commercial patterns up to a larger size. 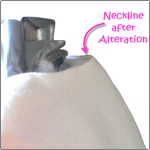 It gives you step-by-step instructions for draping your plus size bodice, pants, skirt sloper, and a few other patterns, with plenty of illustrations. In fact, I draped my bodice sloper using this book after using many other books that didn’t give me the fit I wanted. If you’d rather alter commercial patterns to fit your curves, Sewing for Plus Sizes, by Barbara Deckert, is for you. She has a 2002 version of her book, which is a little newer than mine. This book also has plenty of illustrations. The video below gives you a brief inside look at what both books have to offer. Do you have a favorite sewing or patternmaking book? I’d love to hear about it in the comments below. barbara deckert has a craftsy class based on her book. 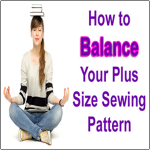 sewing for plus sizes. i purchased her class, and found it to be very useful as a visual aid to use in conjunct with her book. That’s good to know, Connie. I’ve seen her class on Craftsy but haven’t gotten a chance to take it yet. At one time and maybe still Barbara Decker’s book was the best around for altering commercial patterns, whether plus sized or standard. It’s a great book. I haven’t seen Mr Zangrillo’s book and didn’t know of it, so thanks for the heads up! You’re welcome, Mary Beth. I don’t even remember when I bought Mr. Zangrillo’s book, but I’m so glad I did. 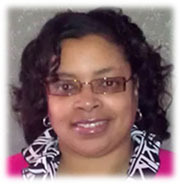 I love your blog layout, it makes it so easy to obtain/view info. Can’t get enough of your informative solutions and problem-solving ideas not adaquately addressed or easily instructed by others. Blog-on! Thank you, Regina. My readers are so encouraging. I’m glad this is information you can use. I really enjoy following your blog. You offer great information. Keep up the good work, Katrina. Thanks Jo Anna, I’m glad you enjoy it.